NYC’s thrash royalty keep up the good work. Since the full return of vocalist Joey Belladonna in 2010, NYC’s premier thrash icons have stopped being an endearing shambles and reconnected with their collective mojo. And while For All Kings doesn’t quite match the thunderous sprawl of 2011’s Worship Music, it does sound like the work of a band with renewed enthusiasm to spare. The best moments here more than justify the price of admission: You Gotta Believe is a bold and grandiose opener, Suzerain and_ Zero Tolerance_ both slam like a mid-80s mosh pit and Blood Eagle Wings is a dark, brooding epic with a welcome dash of oddness lurking in its maze of riffs. Once again, Belladonna is the not-so-secret weapon, his timeless voice making everything sound like classic Anthrax, even when it isn’t. 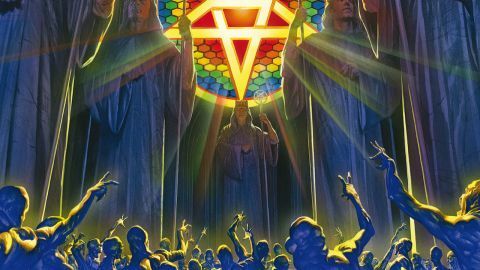 His stark, soulful intro on the cudgelling riff-flurry of the title track would make Ronnie James Dio proud, while his soaring, layered delivery on the terrorist-scorning Evil Twin is a genuine goosebumps moment. Not everything here grabs the attention first time around: the Anthrax of today often favour a slow burn to a startling slap. But as a cohesive and dynamic whole, For All Kings delivers the goods with swagger and style.